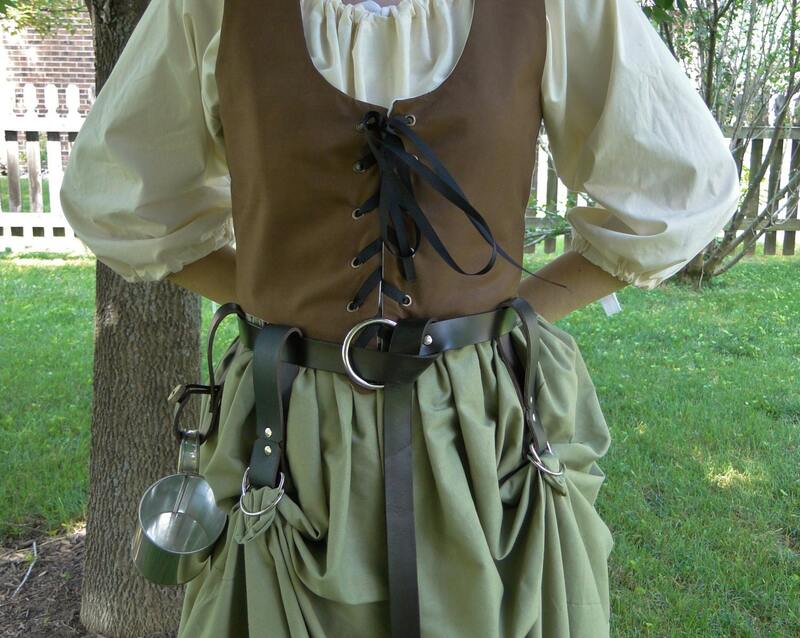 A set of these leather skirt hikes & matching mug strap would be a great addition to your Renaissance fair costume! 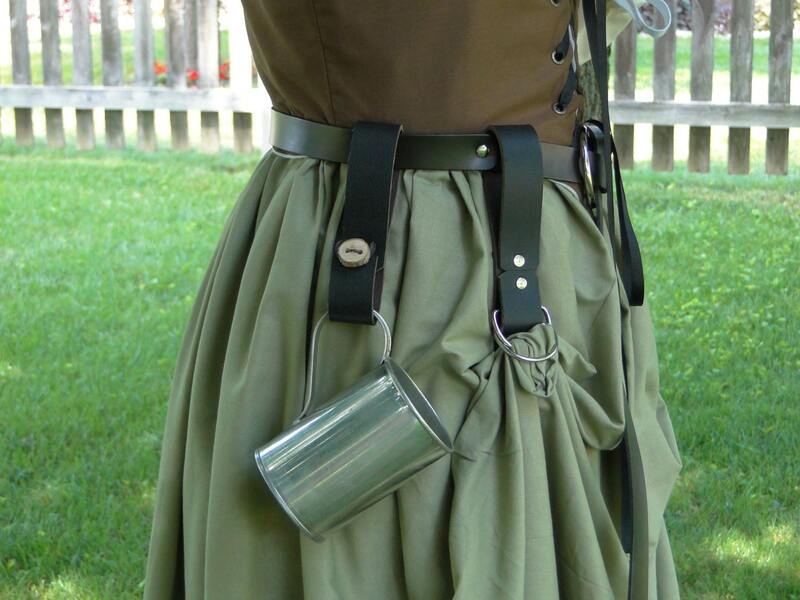 Run a little of your skirt through the rings to raise it up and keep your hem out of the mud & dust at outdoor events. When you're not using your mug, keep it handy and go hands free! All will fit on up to a 3" wide belt. 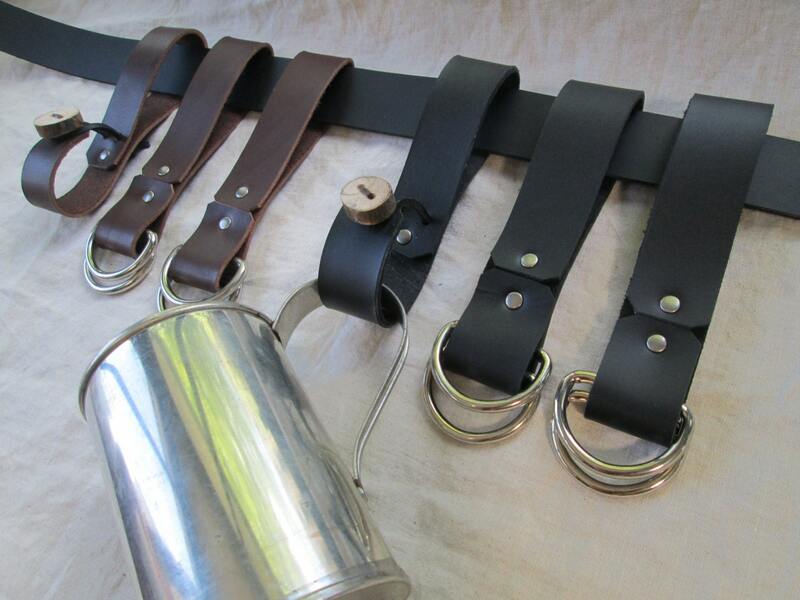 Handmade, your choice of sturdy black or brown leather. 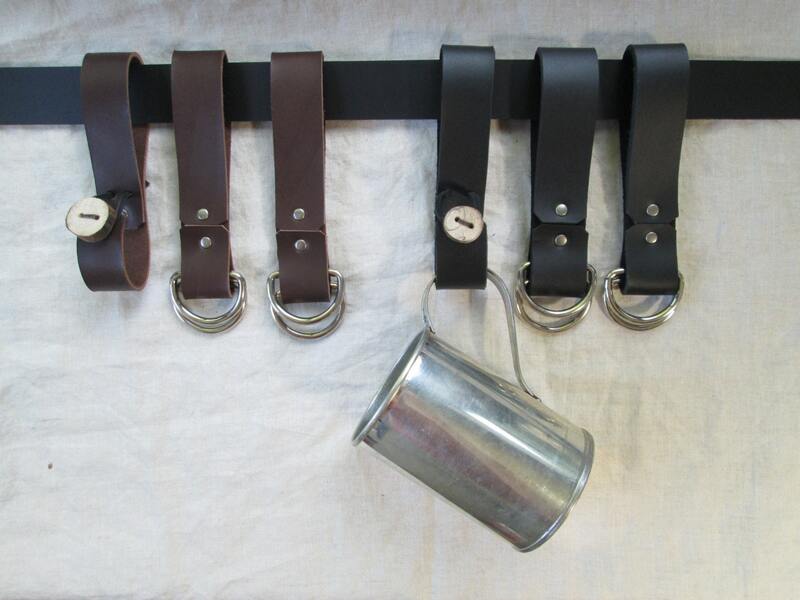 Mug strap features a handmade wooden button (made out of a tree branch) for a medieval look. I received my package quickly! Very nice workmanship, but i was missing one item out of three. I contacted the Seller who apologized, and sent out the missing item quickly. I received it today! Yes, i would buy from them again.